As Breitbart News reported on the upcoming controversial event last October, Steinem spoke at St. Norbert’s in De Pere, Wisconsin, last week and was praised by the school in a press release announcing the speaker of the event as a “founder of the women’s movement,” an advocate for “social justice,” a recipient of the Presidential Medal of Freedom in 2013, and a “spokeswoman on issues of equality.” No mention, however, was made about Steinem’s advocacy for abortion. “Rather than excusing it by finding ways to reason around it or to argue against it, why not embrace it with a real and comprehensive intentionality,” the bishop added. In their “dialogue,” Steinem and Hooks agreed that abortion and euthanasia were necessary for feminism. 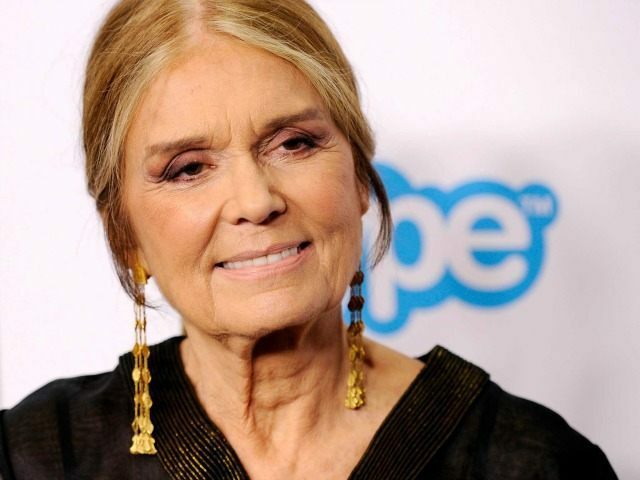 Steinem articulated the left’s support for total sexual freedom as having been born of the women’s movement and the desire to be free of masculinity. To counter the Steinem event, pro-life student group Knights for Life at St. Norbert’s featured an address by Feminists for Life of America president Serrin Foster on Thursday evening. Foster presented her speech, titled “The Feminist Case Against Abortion,” to a reportedly standing-room only crowd. As the Cardinal Newman Society reports, Foster’s address focused on several phenomena, including the anti-abortion early-American feminists and how abortion advocates hijacked the women’s movement in the 70s. Foster explained that women who were abolitionists and fought to free slaves also took on the fight to free women and children from the slaughter of abortion.